Stunning 3 Bed, 2.5 Bath, Log Home & Guest House, on 40 acres in Cool. Large windows allowing for an abundance of natural light and providing grand views of the Sierra Nevada Mountain Range. 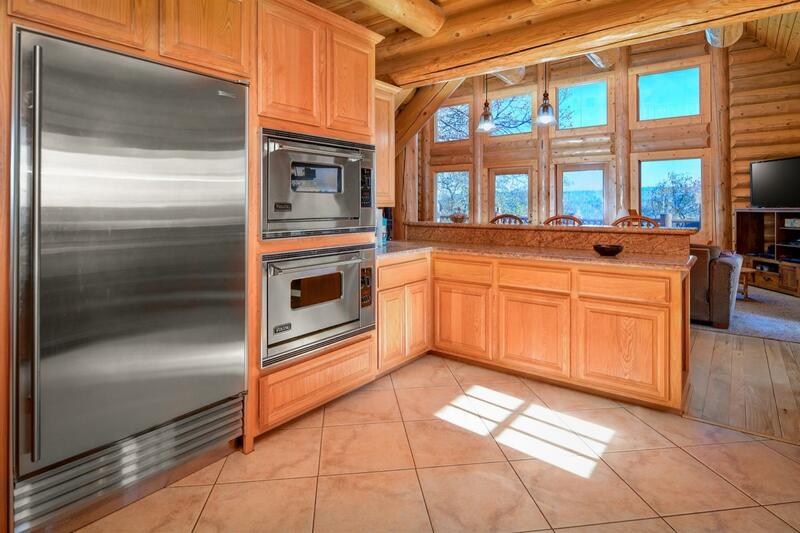 The Kitchen is gourmet, with Granite Counter Tops throughout, Farm sink, all Stainless Steel Appliances. The Master Bedroom is situated on the first floor 2 Bedrooms and 1 Full Bathroom on second story. The Guest House is a 3 Bed, 2 Full Bath, Modular Home on a foundation. It is approximately 1000+/- Sq Ft.